Manuel Antonio Fishing on the areas top boat!! Top of the line gear, these guys are simply the best bilingual fishing crew in Manuel Antonio and Quepos fishing waters! Great deals for an unforgettable fishing experience! Manuel Antonio fishing is some of the best sportfishing you’ll find anywhere in Costa Rica. Whether offshore fishing for Marlin, Sailfish and Dorado, or inshore fishing for giant Roosterfish, Snook and Red Snapper, make sure you make “the catch of a lifetime” with the best bilingual crew in Manuel Antonio! Our bilingual fishing crew will take you to the best fishing spots in Manuel Antonio – decades of combined experience will ensure that if there’s fish to bite, you’ll be right on top of them, in fantastic spots other crews just haven’t even heard of. Whether you’re planning a sportfishing vacation or simply in Costa Rica and decide you’d like to spend the day on the water trying to make your own catch of a lifetime, we have a package that’s just right for you. 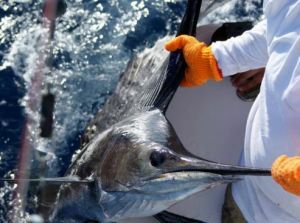 Contact us today to arrange arrange your personal Manuel Antonio fishing experience!Whether you’re planning a sportfishing vacation or simply in Costa Rica and decide you’d like to spend the day on the water trying to make your own catch of a lifetime, we have a package that’s just right for you. 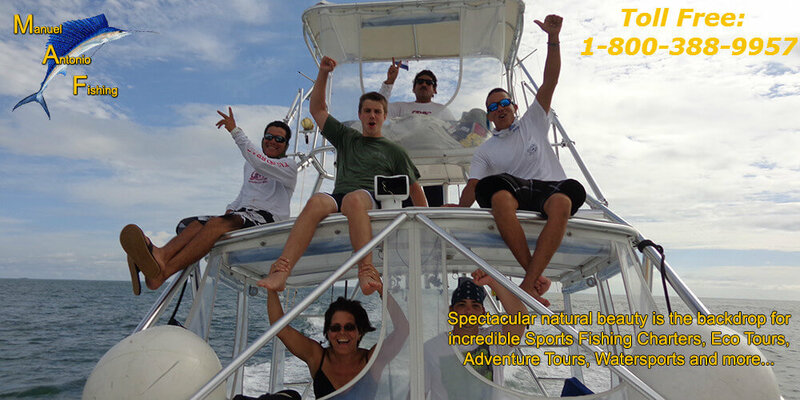 Contact us today to arrange arrange your personal Manuel Antonio fishing experience!